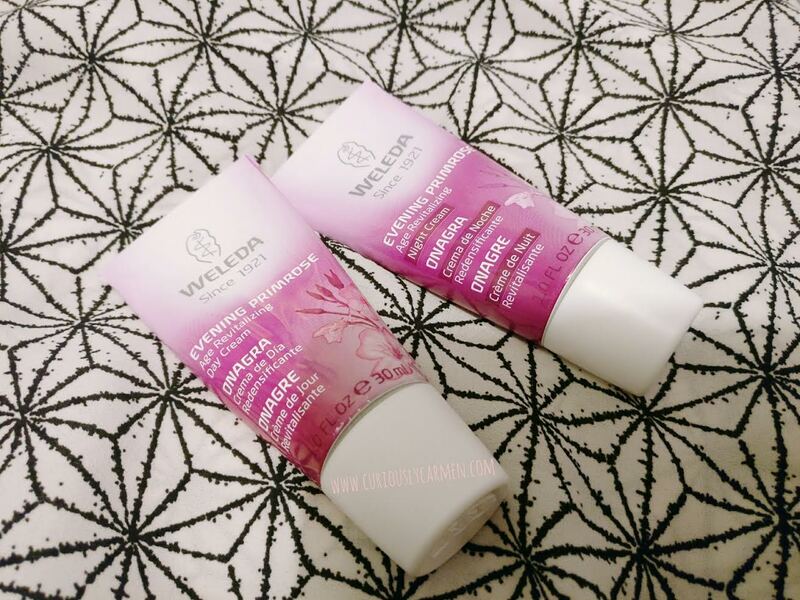 I was recently sent some Weleda products to review! 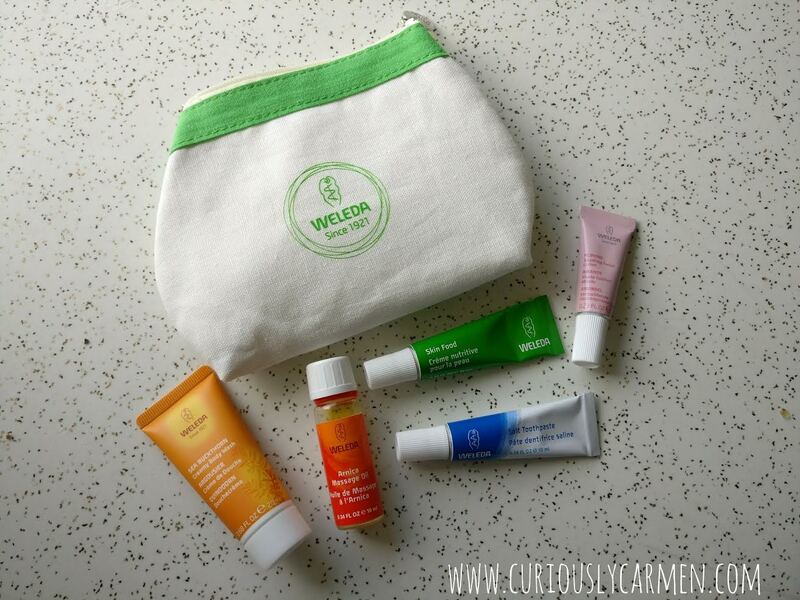 One of them was the Weleda travel size pouch, which came with five of their products. I went away for a weekend, and brought these along with me to try out. They come in a cloth zip bag, which fit the five mini sized product comfortably, with room to spare! Now, I will briefly review each product and what I thought of them. Salt toothpaste: When you squeeze the toothpaste out, it is a brown colour… which I’ve never seen with toothpaste before. Anyways, I was very curious as to how well it cleans. The taste was something I had to get used to… it tasted like brushing your teeth with salt and a tiny hint of peppermint. However, my teeth did feel clean and fresh afterwards so it the product is effective. After two days, I couldn’t get used to the salt taste as a toothpaste, so I ended up using the boyfriend’s Crest toothpaste. Almond soothing facial lotion: Compared to the Weleda Evening Primose lotion I reviewed earlier this month, the almond lotion was lighter and did not have much of a scent. It did a good job in hydrating my skin still though. Skin food: I wasn’t too sure what “skin food” meant, but it is actually just a lotion. I was glad I had this because after I shaved my legs, they were very dry and itchy. The skin food lotion was thick and moisturized my dry legs immediately. Even though it had a thick texture during application, it didn’t feel heavy on my legs afterwards. A good thing, because that day was hot and we went for a hike! Arnica massage oil: I don’t use massage oils often… actually, can’t even remember the last time I used one! But I didn’t really find this to be a massage oil. I would have liked it to be more slick and slippery, but my skin absorbed this instantly. Sea buckthorn creamy body wash: Last but not least, I got to try another one of Weleda’s body washes! The sea buckthorn wash cleaned well, and I felt nice and refreshed afterwards. Overall, I enjoyed some products more than others. My favourite in this travel pouch would be the skin food because of how well it moisturized, and lightweight it felt after. My least favourite was the massage oil because it did nothing to my skin or enhance my massage. The pouch also comes with a coupon for one full sized product of your choice! Weleda is a company that I haven’t talked about, but have been seeing it gain traction in the past few months. I thought it was a small company, but was pleasantly surprised when it was the first thing I saw at Whole Foods as their featured product in front of the body care section! Their body care shelves were stocked with a variety of Weleda products. I’ve been using the Weleda Evening Primose face day & night creams daily for about two weeks now, and here are my thoughts on it! Before the green/sustainable beauty industry suddenly exploded in the past few years, Weleda was one of the first in the green beauty industry being founded in 1921. Weleda started by creating one of the world’s first biodynamic gardens, which after some Googling I found out that it means that these farmers/gardeners strive to regenerate crops as much as possible from within the farm itself. There are also some spiritual beliefs intertwined with biodynamic gardening, in that the earth is sacred and must be treated with respect… etc etc. You can read more about it here if you wish. The formula is rich in evening primrose oil, high in essential fatty acids, which helps protect the skin’s moisture barrier. Gotu-kola extract, known to increase collagen production, provides support to the skin’s structure. It’s also enhanced with inca nut oil, noted for its high vitamin E content that helps to promote skin renewal. Packed with additional skin-nourishing and restoring ingredients, this elegant day cream will leave skin radiant, firm and smooth. For best results, use with the Age Revitalizing Eye & Lip Cream and Age Revitalizing Night Cream. Application: The day and night creams come in a standard, no-mess tube. As with most creams, the day time cream was lighter in texture. The night time cream was thicker. It’s better to have a thicker night time cream because your skin does most of its absorption while at rest. But in the day time, a thicker cream might not feel as comfortable, particularly on a hot and humid day! They both feel cooling on the skin on contact. Wear: I have no complaints about the wear! Both were very comfortable. My skin type differs throughout the seasons. It has changed from oily to dry in the past few months, and I’m happy to say that it is finally calming down although still a bit sensitive. Due to slightly sensitive skin, I was a bit hesitant to try this product out because I wasn’t sure how it would react. But my skin feels adequately moisturized. It isn’t too oily at the end of the day, and I don’t wake up with dry leather skin! 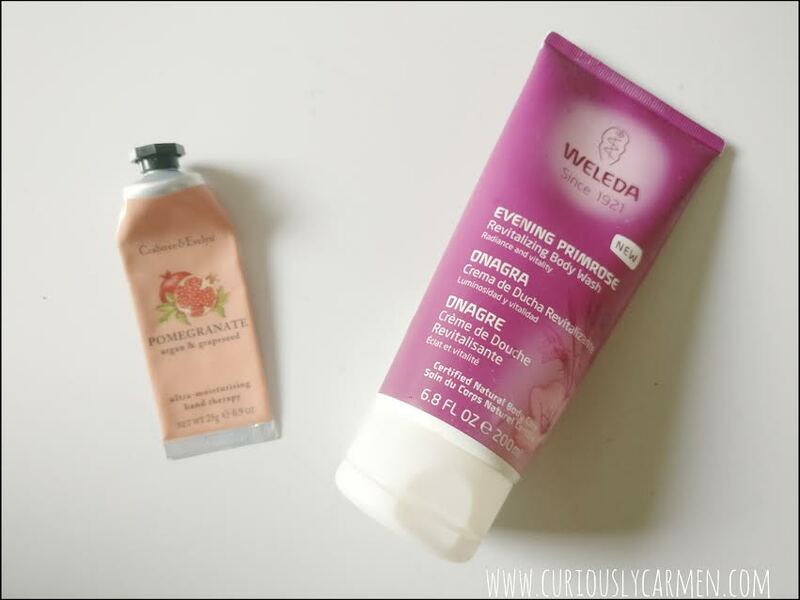 Scent: My favourite thing about the Weleda Evening Primose line is the smell. It smells very luxurious and pleasant. I always look forward to putting this on my skin at night and in the morning because I love how it smells. Due to the primrose, it has a beautiful floral scent… and I am weak for flowers & flower scents!!! Press product featured. Opinions are own. After 3.5 years of blogging and not having a single product empty post, I am now back with two in a row! How funny is that =P I would love to write more empty posts, if only I could finish products fast enough. But I will try to motivate myself and write another one in the fall. I’ll also link the original review if possible, in case you’re interested in reading more about the product! 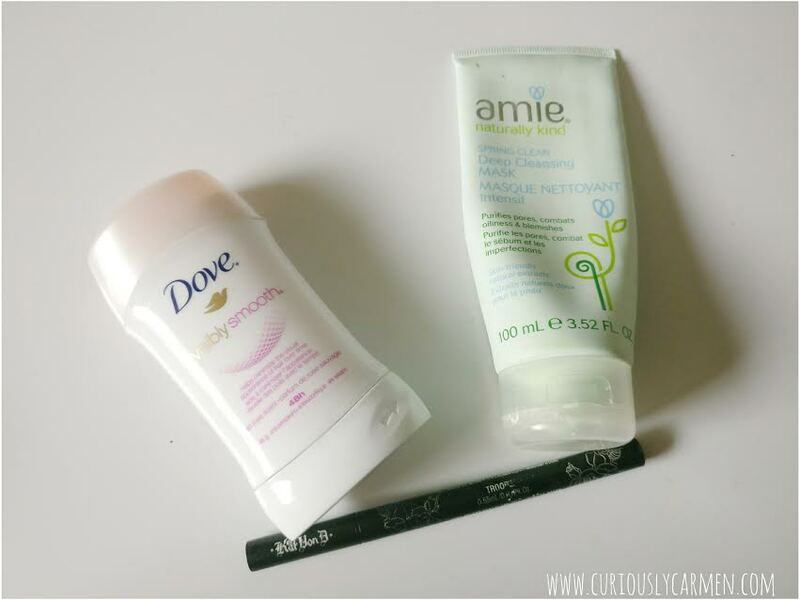 Dove Visibly Smooth Deodorant: I mentioned in the past empties post that products lose its effect on me after prolonged use, which is why it’s hard for me to write empties often! Anyways, I found this deodorant to be okay… Well, it was good at first but then I got tired of the scent. I only buy deodorant on sale so if this is line is on sale and there aren’t other scents I like more, I’ll get it. Would I repurchase? Meh… if on sale I would. Amie Deep Cleansing Mask: This is not a well known product at all, and I don’t even think they sell it in Canada despite saying so, but I LOVE it. It’s great for breakouts! I received it twice as a PR sample, so I actually went through two bottles. Since they don’t sell it in Canada and I loved it that much, I decided to order it online which is rare for me. Anyways, it took over a month but it’s finally here. Would I repurchase? Yup, already did! 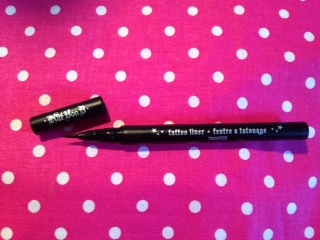 Kat Von D Tattoo Liner: Hah! 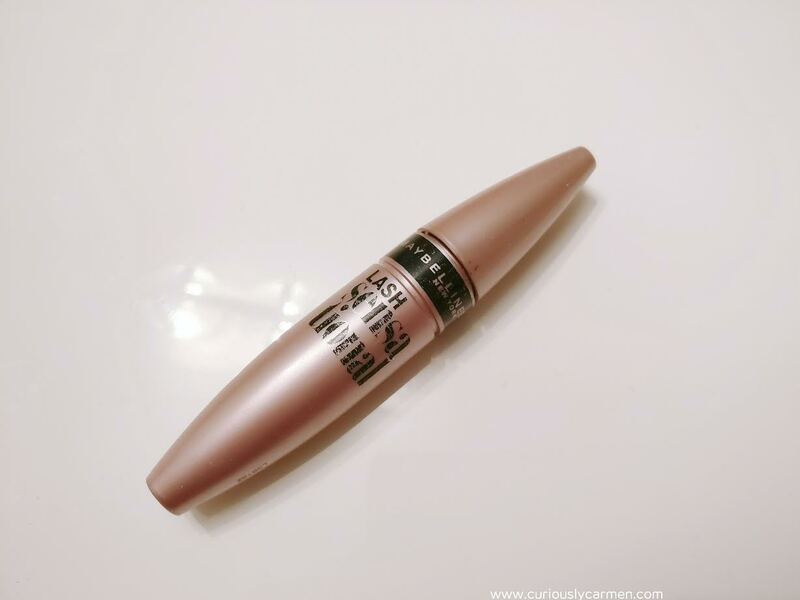 This goes without saying… my go-to liner that will never disappoint me. My absolute makeup staple. Would I purchase? I lost track of how many times I repurchased this! Actually I repurchased this for the 23423th time last month, except they were out of this one so I tried the new felt tip. No problems at all with the felt tip! Crabtree & Evelyn Handcream: I really enjoyed this handcream, and will probably keep an eye out for when it goes on sale again! Weleda Evening Primrose Body Wash: Surprisingly, I finished this body wash pretty fast! Well maybe not surprisingly, body wash is the easiest to use up because I shower every day…. and I hope you do too! Anyways, I never ended up writing a separate review for this body wash which I kind of regret, because it’s amazing. 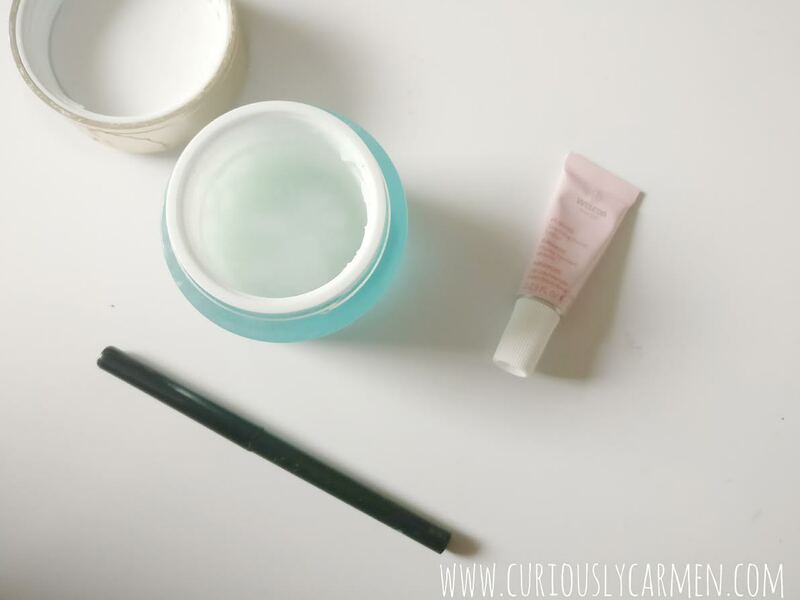 I wrote a review on their day and night cream which works really well too. Stay tuned for the next empties post… coming to you in another 3.5 years! LOL jk, I am going to make a huge effort to write another one for fall! 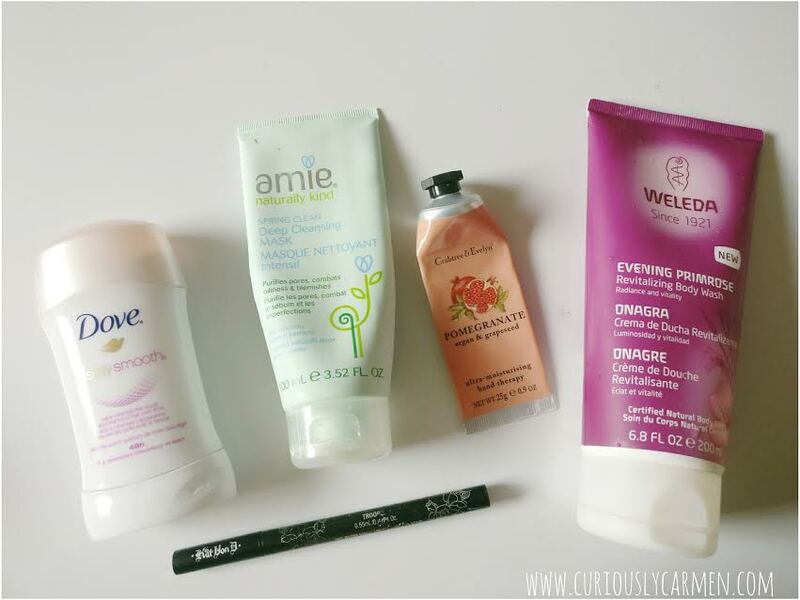 I am so excited and happy to finally be doing an empties post! The first ever on my blog! Well obviously I have finished products before this but there weren’t ever enough at once to write a post about it. Why am I so excited? Because excluding my daily products of brow pencil and eyeliner, it takes me a super long time to finish products! I’m talking like… a year… or more because I only use my brow pencil & liner everyday, and I like to switch up my face products, foundations, etc. I find that if I use the same moisturizers, face wash, deodorant, etc.. it slowly minimizes their effect because my skin has gotten used to it. And I know I’m not the only one because I’ve heard about it from Youtubers! Anyways, enough rambling… Even more great news, I managed to have enough empties to do TWO blog posts! So I will be doing a part 2, because I hate super long blog posts! 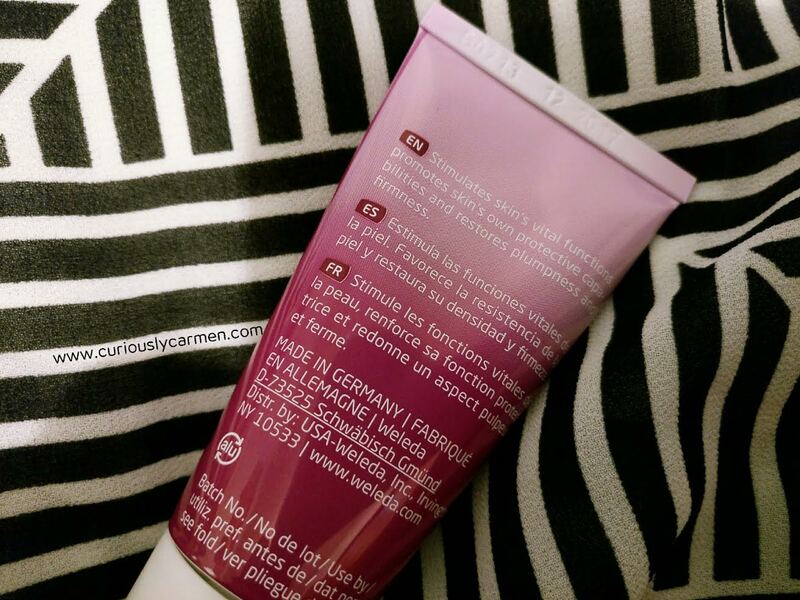 Estee Lauder DayWear Matte cream: I have been using this on and off due to trying and testing new moisturizers. But when I don’t have any new ones to try, I can always rely on this to moisturize my skin! 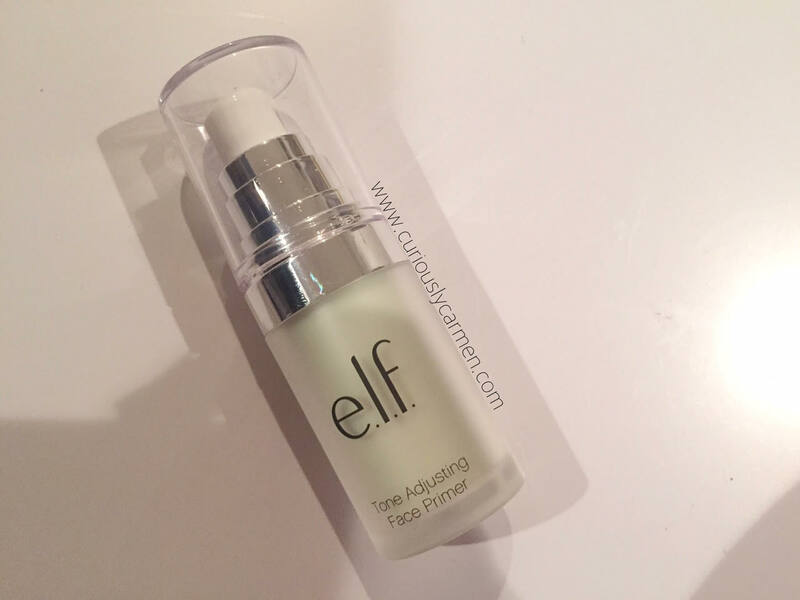 This cream is more of a gel and feels very light weight. Weleda Almond Soothing Facial Lotion: I talked about this product three months ago. It is a bit odd that I can finish a moisturizer in three months, but this thing is super tiny! It is a very gentle moisturizer, with a hint of almond scent. Here is my original review on it. Sephora Waterproof Eyeliner: This product has been tossed around from makeup area to various makeup bags, traveling, etc… that the print is completely gone and the smudge tip is long gone. It wasn’t one of my favourite eyeliners because it smudged easily. By the end of the work day, I would have a bit of a raccoon eye. Honestly don’t know why I kept using it, but at least it’s finally done. First Aid Beauty Face Cleanser: I received this as a present 2 Christmases ago, and I finally finished it! I LOVED this cleanser. It’s very gentle, but also removed my full makeup looks effortlessly. As well, it never dried out my skin. I liked to “save” this for occasions when I wear a full face of makeup because it’s $15 for a travel size. Although now that I think about it, that’s cheap compared to other face products at Sephora. Here is my original review on it. Would I repurchase? Yup, in fact I bought another one two weeks ago! 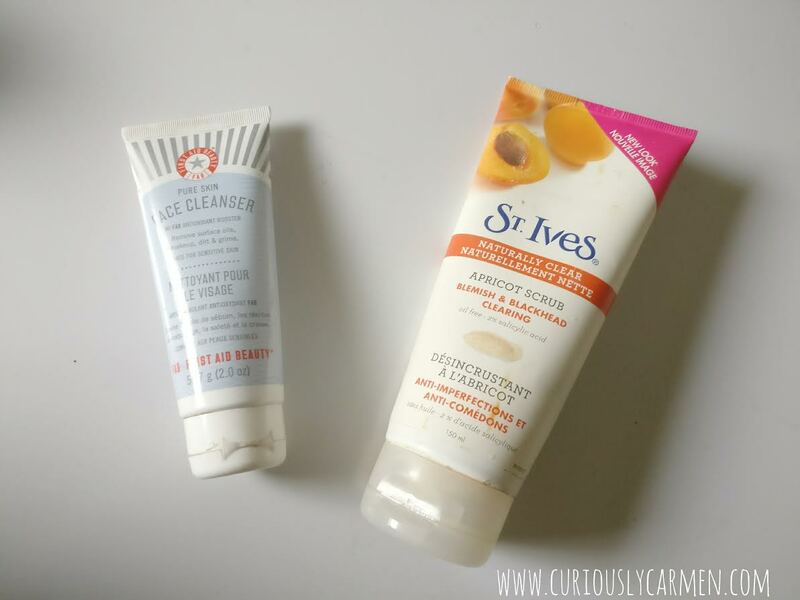 St. Ives Apricot Scrub: Okay, this is like a washroom staple… I say this because I’ve seen many homes carry this product (Yes, I notice what products people use when I go to their washrooms LOL). Plus, it’s a very affordable price and works really well! I started off using this scrub on my face, but over the years, my skin became slightly more sensitive and this was too harsh. So, I ended up using this as an exfoliator for my body to prevent ingrowns, pimples, etc. Would I repurchase? Yup, I ended up buying it in a jar format because it’s easier to use in the shower. As well, in high school, I bought this many times so you could say it’s definitely a staple for me! 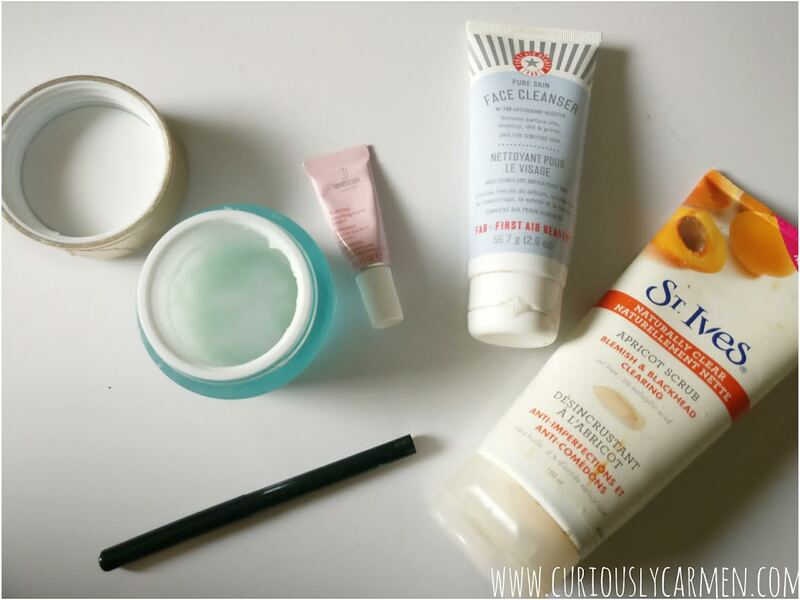 Stay tuned for part 2 of my empties! On a side note, I didn’t know that talking about empties was considered a weird thing to people who aren’t interested in beauty. In one of the Facebook groups I’m in, one blogger joked how we like to take pictures of our garbage and share it with others who love to see our garbage. LOL!!! I have some reviews in store this month, but I wanted to do more of a chatty, get to know me type beauty post. I found this one off The Beauty Section so all credits to their website! 1 // Do you remember your first makeup item? Hmm…. probably something from Claire’s! How I used to love Claire’s growing up! I loved their eye shadow palette and remembering using it before the school dances LOLOL. 2 // Describe your perfect mascara. Have you found one that fits your specifications? I am very picky about mascara… and it’s not by choice, either. Mascaras tend to clump on me and I don’t even know why. In fact, I didn’t do a mascara review for 3 years because all mascaras I tried were the same! Until I found the Maybelline Lash Sensation. You can read my review here. I just realized the answer didn’t really relate to the question… so my specifications would be one that lengthens, does not smear, and does not clump. 3 // What kind of coverage do you prefer from foundation? I don’t wear foundation on a daily basis, probably occasionally now… but I have drastically cut back this year. My skin went through a sensitive stage in the winter and I’m trying not to wear much face products to make it flare up again. However, when I do wear foundation, I prefer medium to full coverage. Since I don’t wear it often, go big or go home! I much prefer to stay home (and Netflix). 4 // Favorite high end brand? Urban Decay 🙂 I don’t think I’ve tried a product from UD that I haven’t liked yet, and I’ve tried a lot! 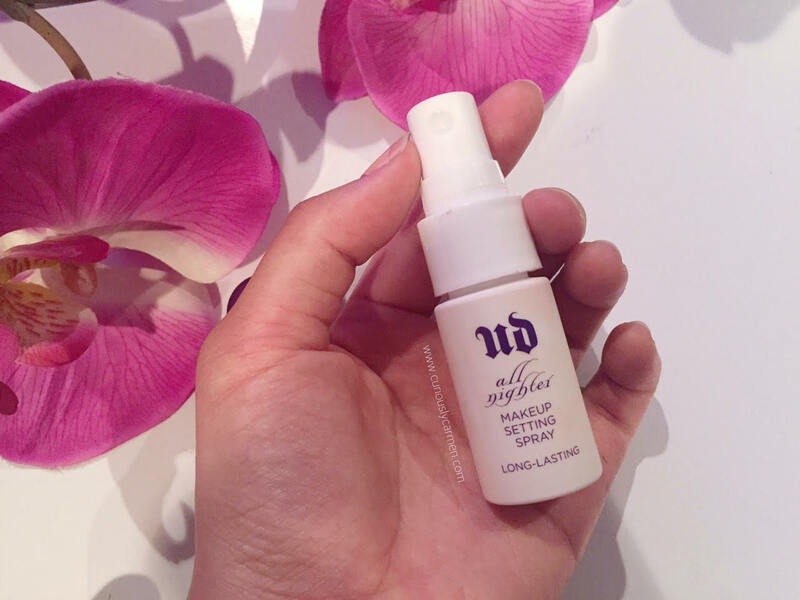 See what I’ve reviewed from UD here. 5 //What cosmetic brands have you always wanted to try but still haven’t? Deciem! Heard so many great things about the brand in the blogosphere. 6 // Favorite drugstore brand? 7 // Do you wear fake eyelashes? I wear glasses everyday, which makes it hard to. But I do sometimes when I wear contacts. They’re so fun! 8 // Is there any kind of makeup you can’t leave the house without? I leave the house sometimes with no makeup… so no? But if I didn’t, it would have to be my eyebrows. 9 // What is your most cherised beauty product? My Kat Von D liner! It’s my holy grail liner and I’ve repurchased it more times than I can count. 10 // How often do you shop for makeup? Do you like to pick up an item here and there or get lots of goodies at once? Surprisingly, I don’t shop for make up often. I like to browse when I’m shopping, but I’ll only buy something if it’s either really cheap, or I’ve done research. Rarely do I spontaneously buy a high end product for no reason. 11 // Do you have a “beauty budget” or you spend freely? Since I don’t buy makeup often (my last purchase was 7 months ago), I would say I spend freely. If I was to buy products more often, such as once a week, then I would definitely have a beauty budget. 12 // Do you utilize coupons, rewards cards and sales when you shop for cosmetics? If it’s online shopping, then yes. I only buy online if there’s free shipping codes. 13 // What type of product do you buy the most of? 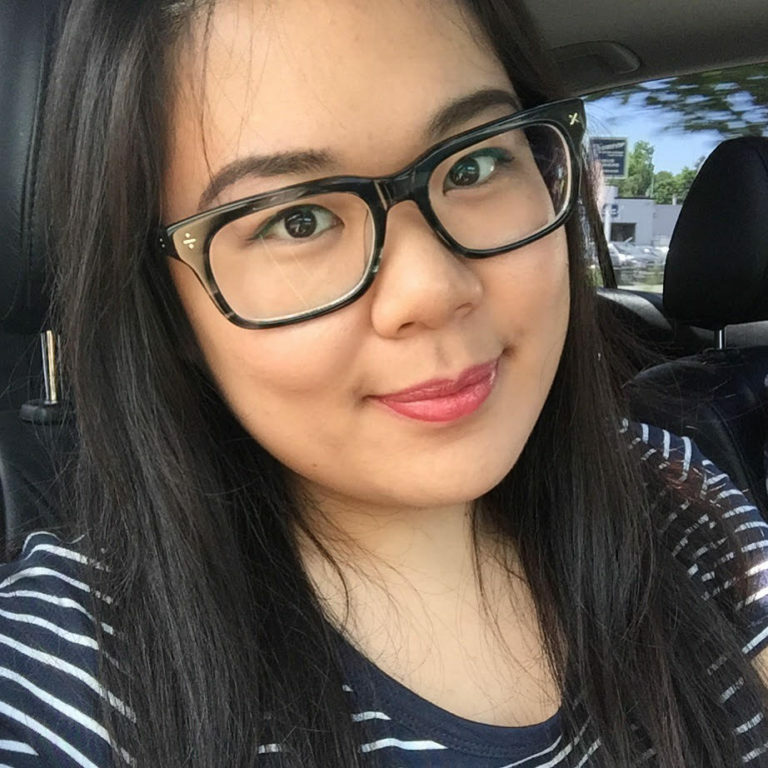 Well I use my essence eyebrow pencil every day… so I go through that quickly! Second would be Kat Von D tattoo liner. 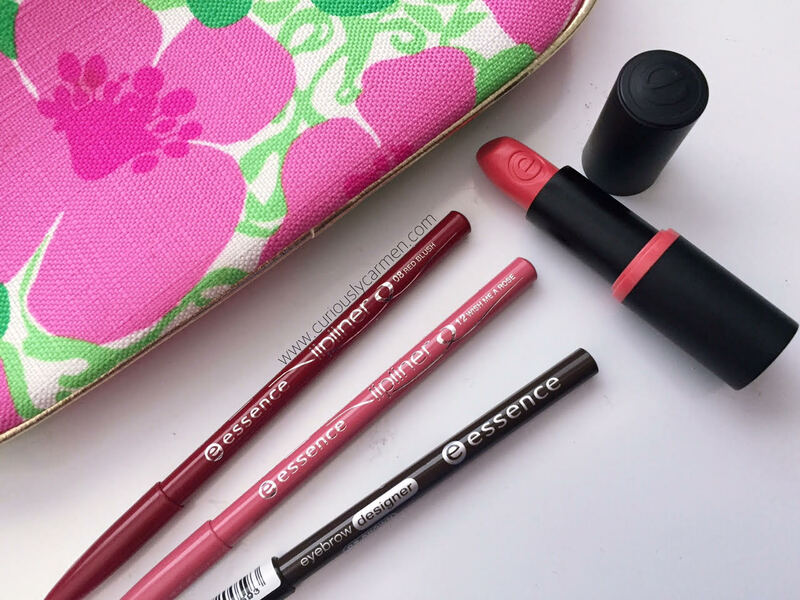 Pictured below with some other essence products! 14 // Is there a brand that you absolutely can’t stand? Haha!!! Hmm…. Let me think… I don’t think so actually. 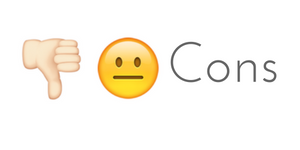 There have been brands with disappointing products, but none that I absolutely can’t stand. 15 // Do you avoid certain ingredients in cosmetics like parabens or sulfates? 16 // Do you have a favorite place to shop for makeup? 17 // Do you like trying new skincare products or do you keep a certain routine? I enjoy trying new skincare products so that I have reviews to share on my blog, but my skin is also quite sensitive these days which is why I try to limit the amount of new skin products I expose them to. When I’m not reviewing skincare products, I stick to a routine of my trusted moisturizers. 18 // Favorite bath and body brand? Right now, it’s definitely Weleda! I discovered them through blogging last month and can’t get enough of their Evening Primose body wash. I only reviewed the Evening Primose day and night cream, but here is a picture of what the line looks like. The body wash has the same packaging but in a larger size. 19 // If you could only buy from one brand, which brand would you choose? Kind of similar to question 4! Urban Decay hands down. I’ve tried many of their products, and have yet to be disappointed. I can definitely trust them to come out with reliable products. 20 // What brand do you think has the best packaging? Cutest packaging award goes to Paul & Joe for sure! 21 // Which celebrity always has great makeup? I don’t really follow celebrity make up trends or looks… but if I was to pick, the first that comes to mind is Kylie Jenner. Her makeup snaps are gorgeous and her Kylie products are great too! 22 // Do you belong to any online makeup communities? 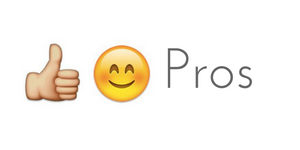 Hmm… does Instagram count? Yes, I’m going to say it does. Apart from Instagram, the Canadian Beauty Bloggers Network, and some other Facebook blogging groups but they aren’t make up related. 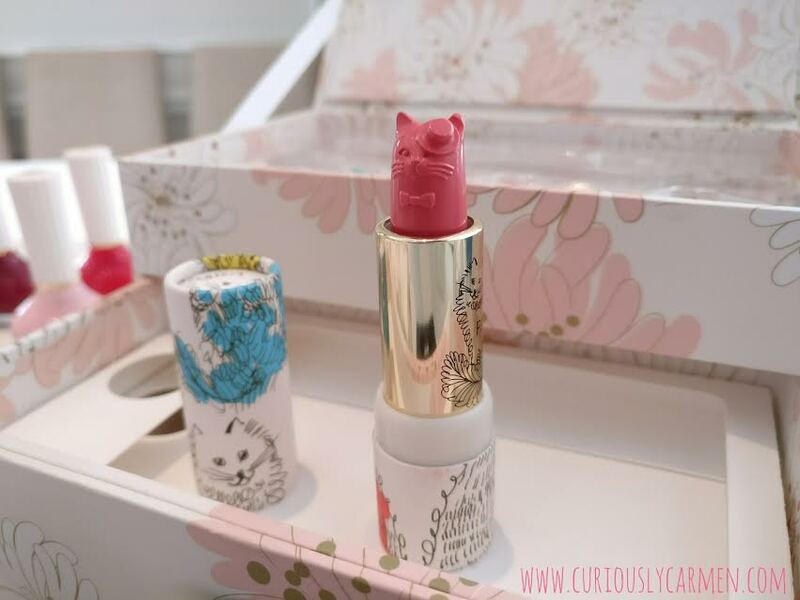 24 // Do you like multifunctional products like lip and cheek stains? Yes! Why not? It’s a better value. Pictured below is one of my favourite beauty products ever. 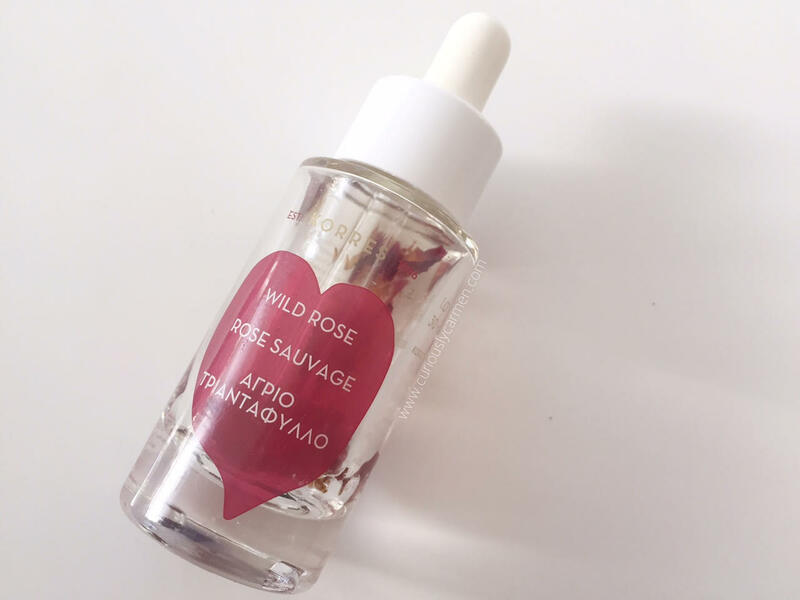 The Korres wild rose oil moisturizes my skin really well. When mixed in with a foundation, it gives my skin a beautiful, non-cakey dewy look! 25 // Are you clumsy in putting on makeup? 26 // Do you use makeup base/primer for the eyes? Yes, always. My eyes get pretty oily. 27 // How many hair products do you use on a typical day? On a typical day, I don’t use hair products. I’m boring. 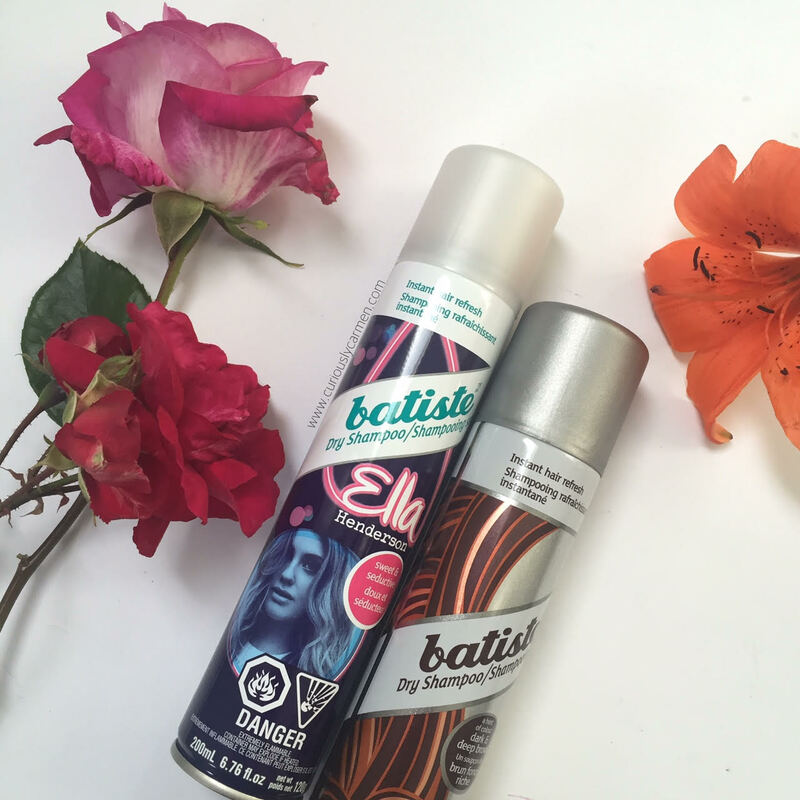 But I use Batiste dry shampoo sometimes! 28 // What do you apply first, concealer or foundation? 29 // Do you ever consider taking makeup classes? 30 // What do you love about makeup? 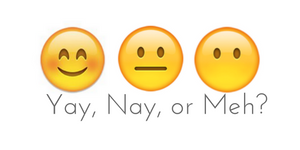 I love that there are so many options and styles you can choose from, depending on your mood and preference. I also love that it gives me something to write about, because I love writing. It’s also a good conversation piece. Again, credits to The Beauty Section for this fun tag. I would love to see your version as well, so let me know if you do this tag too.